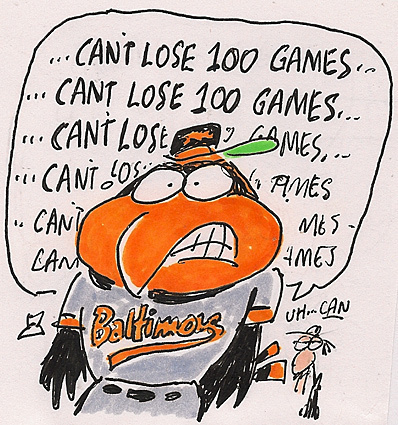 CLEVELAND - -Give Jim Johnson a little credit. During the most difficult period of his brief career, the Orioles' closer of two months hasn't lost his sense of humor or his self-deprecating way. "If there's a way to give up a run, I'll find a way," Johnson said after he served up the game-winning hit in the ninth inning of the Orioles' 9-8 loss to the Cleveland Indians on Saturday night in front of an announced 31,749 at rainy Progressive Field.